Share the love of Christ with all! On April 14, 2015, Kristen Wiersma, our Kairos and Associates Consultant, reported the feedback and findings from the on-line survey and interviews she conducted through the Kairos Listening Phase with our congregation this winter. Below is a summary of the information that has been gathered as well as next steps. Full reports are available in the church office. 119 of us completed the Church Assessment Tool – 71% of average worship attendance! 98 people participated in individual or group interviews with our consultant, Kristen. We at Immanuel are HEALTHY. We love our church ministry, staff and the people who worship here. New people feel we have a WELCOMING SPIRIT. We are an open and welcoming congregation! We have the ability to be FLEXIBLE and OPEN TO CHANGE. As a congregation, we realize that sometimes we must let go of some things so that we can focus our energy and resources on new ministry opportunities. VISION: There seems to be no clearly articulated vision for the future that would help shape decisions around building use, staffing and programs, budget and resources. FACILITIES: Only the main level of our church facility is accessible by those unable to navigate stairs. STEWARDSHIP CULTURE: The annual operating budget is struggling amid a scattered approach asking for money and donations for special gifts, projects, and donations to partner ministries. STAFFING CONFIGURATION: Immanuel’s congregational size and giving culture is not providing sufficient resources to support current level of staffing. VISION: Articulate a unified mission and vision to create common energy and purpose. STEWARDSHIP: Develop a strategy for culture of generosity and stewardship of gifts. FACILITIES: Plan and implement a capital appeal process to support building accessibility. STAFF CONFIGURATION: Review budget, giving, and staffing, and align staffing with vision and mission work. COMMUNITY: Deepen meaningful relationships in the congregation, develop ministries that help heal those broken by life circumstances, and focus on growth and families with youth and children. WHAT CAN I DO IN RESPONSE TO THE KAIROS REPORT? Ask God to help shape and guide your response, thoughts, and actions as you respond to each of these results and recommendations. Ask for God’s help and guidance for the council, staff and congregation as we address each specific item listed under the needs, challenges, and recommendations of the report. We believe that Immanuel can have an positive impact on the Missoula community and we believe that listening to the neighbors and community will give us a better sense of how we might respond to needs and partnerships in the community as the we live out our mission. On May 5, 2015, we held a Neighborhood Forum and invited our neighbors to attend. They shared their perspective on the current needs and happenings in our community and how we might partner with them. Thanks to the following people for attending and inspiring us about how God is already at work here in Missoula. Poverty is an overarching issue for all ages, birth, elementary, adolescent, young adult, elderly. Both schools and agencies said that children, teens and adults are coming to their organizations with more complex needs: socio-economic concerns, mental health, family issues. Sexual & gender identity is an emerging and prevalent issue for adolescents. There is a deep need at for people of every age to be connected and to have meaningful relationships. Partnerships and collaboration are the key to addressing community needs. It is important for schools, agencies and churches to work together on issues, not in isolation. Together we are stronger and can do more. Young people are hungry for meaning and value in their lives. They want to do something significant with their lives. Faith communities have a significant contribution to make in addressing community issues, helping people find meaning and value in their lives, and forming meaningful one-on-one relationships. There is a shift in congregational purpose & thinking: how are we benefitting the community? When you reach out, do not expect people to attend worship or join your church. Needs to be done for the sake of serving the world. People, especially young people, are not very interested in attending worship no matter the style. Missoula Collective Impact: Group of community leaders rallying around a common set of goals. They are looking for faith leaders to be a part of this. Consider ways to build one-on-one relationships with people in need: kids in school, the elderly, and people coming out of prison. A friend/advocate is what makes the difference. High school students: St. Paul Lutheran & Garden City Church offer a free lunch once a week for high school students. IMLU location is great for this. Could combine with someone doing a presentation on values. Open to further conversation. Elementary: work with schools on how to support families in need. Assistance cleaning up houses & fixing things. Have further dialogue. Non-profit, faith based senior living. How could IMLU connect with Missoula Manor, right next door? Transportation for elders (Missoula Manor). Example: Bus to get to church. Partner with Emmaus Campus Ministry and students to do something exciting that makes a difference: Manor, High school, middle school, elementary school. Emmaus is applying for a Lily grant that could provide a student intern to help make these connections. Leverage the intergenerational nature of the church. Bring young people and older adults together for meaningful one on one relationships. 1. Implement a Bridge Campaign to cover anticipated budget deficit through the end of 2015. 2. Work with Kairos Consulting to Review and update our Strategic Plan. The goal of the plan is to develop a clearly articulated vision for the future that will help shape decisions around building use, staffing and programs, budget and resources for our congregation over the next five years or more. This Strategic Planning team will include council members and other members who represent a cross section of the congregation. OVERVIEW OF Listening Process: It is an exciting time here at Immanuel Lutheran Church! The Accessibility team has met for the past 1 1⁄2 years to review Immanuel’s ministry, mission and our facility needs. Now, the Accessibility team and our Church Council need your input. As you know, we recently approved entering into a relationship with Kairos and Associates, and the consulting services of Kristin Wiersma. 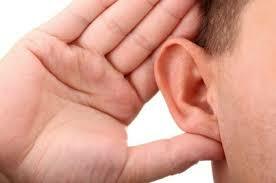 To begin our work with Kairos, we are launching a Listening Phase. This phase will help us understand how our membership engages our ministry, imagines our future, and the level of willingness to partner with us as we move forward with both financial and ministry opportunities. This is critical information and data to help us make wise, informed, and important decisions for our future. FEED THE CAT!! The Church Assessment Tool (CAT) is a survey that will provide a clear picture of who we are as a church and what directions are most important for our future. The CAT offers key indicators of our congregational health along with areas of challenge and potential growth. It will help us to collect and understand the range of views that exist at Immanuel Lutheran and the possibilities, willingness, capacity, and energy for ministry in the future. 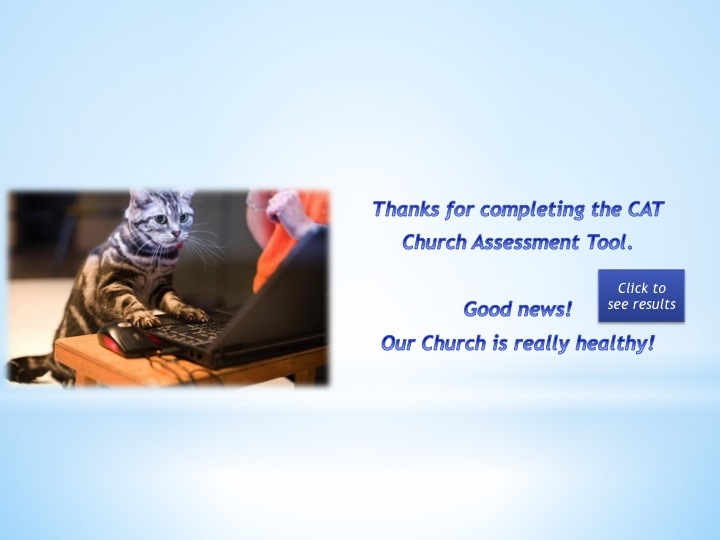 We want every confirmed member of our congregation to participate in the CAT survey. Members will be encouraged to take the survey online. Hard copies will be available in the office. All survey responses will be anonymous. On March 22-24, our Kairos partner, Kristin Wiersma, conducted 30 minute Individual Interviews and hour long Focus Group Interviews to hear more deeply about the hopes, dreams, giftedness and vision of God’s people at Immanuel. All voices are important for Immanuel’s future. We hope that participating in the Listening Phase will start you thinking about where God is calling Immanuel in the future and help you celebrate the good things going on in our church today. Thank you for your willingness to be a part of this congregational assessment and for helping to build Immanuel’s future. Results were shared on Tuesday April 14 from 6:30-7:30. We believe that Immanuel can have an positive impact on the Missoula community and we believe that listening to the neighbors and community will give us a better sense of how it might respond to needs and partnerships in the community as the we live out our mission. Please plan to attend one of our community panels to hear from community members or community leaders as they share their perspective on the current needs and happenings in our community. Come learn from our neighbors and be touched and inspired about how God is already at work here in Missoula.